Josef Czapski was a remarkable man; of that, there can be no doubt; a polymath, his life took in painting, writing and essays as well as military and diplomatic careers. And yet, until NYRB issued his works plus a biography I’d never heard of him – which is actually quite shocking. Czapski lived through the bulk of the 20th century; born in Poland in 1896, he was a student in St. Petersburg during the Russian Revolution, a painter in Paris mingling with the likes of Picasso, and during the Second World War fought as an office in the Polish army. Somehow, miraculously, he and a group of less than four hundred men survived the Soviet murder of more than 20,000 Polish officers (the Katyn Massacre); instead, they were incarcerated in a Soviet prison camp 250 miles north of Moscow, which was where this book has its genesis. The surviving men had no knowledge of what had happened to their comrades; however, during the winter of 1940-41, with temperatures dropping down to as low as minus 45 degrees, they agreed to undertake secret lectures to keep up morale. Each man would speak about what they remembered best, and in Czapski’s case, his love of the work of Proust was his life-saver. Czapski had first read “In Search of Lost Time” (as it’s called in English here) during the summer of 1926, while he was at his uncle’s house in London and suffering with typhoid. 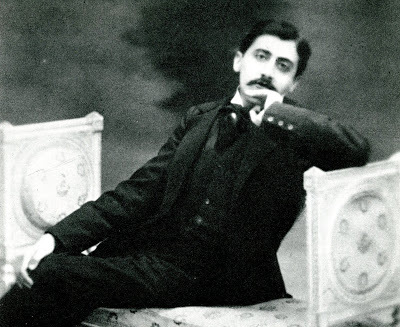 His love of that work had stayed with him, and so when it came to the lectures, Czapski presented a series of thoughts on Proust, his life and his work. It’s heady stuff, and all the more remarkable when you think that these lectures were created and delivered without access to books or reference material, so were simply drawn from what was remembered and what Czapski retained in his head. His work acts on us like life, filtered and illuminated by a consciousness who soundness is infinitely greater than our own. And the lectures are remarkably entertaining. Czapski ranges over Proust’s life and influences; the society he moved in; the events and the characters in his great work; and how “In Search…” was Proust’s life’s work and in fact in many ways *took* his life. On their own, the lectures are deeply fascinating and illuminating; and I found myself quite desperate to pick up the third book in the sequence and carry on reading Proust. Czapski really shines a light on Proust’s work and his love of that work is patent. The last volume of his novel… is the triumphant hymn of a man who has sold all his worldly possessions to buy a single precious pearl, who has measured all the ephemera, all the heartbreak, all the vanity of the joys of the world, of youth, of fame, of eroticism, and holds them up in comparison with the joy of the artist, this being who, constructing each sentence, making and then remaking each page, is in search of an absolute he can never entirely attain, and which, besides, is ultimately unattainable. However, this is a book where context adds more and our knowledge of the background to the lectures brings extra depth to our reading of it. The latter is deeply affecting on two levels; Czapski’s highly personal response to Proust is in itself extremely moving. However, the lectures are a poignant reminder of the resilience of human beings in extreme situations and a striking illustration of how art and literature are as essential to us as air. The book is translated by Eric Karpeles, who provides an in-depth history of the genesis of the printed version of the lectures, as well as pointing out several other examples of how the memory of literature has helped those in camps to survive, from Primo Levi to Jorge Semprun, Yevgenia Ginzburg to Varlam Shalamov. It’s a testament to the power of words and the importance of literature that the deep love of those works of art helped to keep these prisoners sane whilst living through inhuman conditions. I’m not making the case that the pages I speak about are the most valuable, it’s just a hierarchy subjectively fixed by my enthusiasm. I can’t recall ever having gone back to Proust – and I’ve done that many times – without discovering some new emphasis, some new insight each time. “Lost Time” is a slim but devastating book; I became lost in Czapski’s thoughts on Proust only to be jerked back to the reality of where the lectures were given by his acknowledgement that he was working from memory alone with no texts to guide him. And yet his writings have a vitality and intensity born of the love of his subject, which just goes to show that the best teachers are the ones who are committed to their field. My NYRB edition is, of course, beautifully presented, with the excellent aforementioned introduction, as well as colour plates reproducing Czapski’s original schemes for his lectures and a useful glossary of names at the back. In fact, Czapski has been well-served by both publisher and translator; there is a large format NYRB softback biography by Karpeles (a painter and author in his own right, as well as a translator) of Czapski, and I’ll be covering that in coming weeks. Additionally, the publisher has issued an edition of “Inhuman Land”, Czapski’s work about his search for the truth behind the Katyn Massacre, translated by Antonia Lloyd-Jones, which I mentioned in my post a couple of days ago; I’ll be covering that too. Review copy kindly provided by the publisher via Emma O’Bryen, for which many thanks! As I mentioned in my earlier post, there is a fascinating-sounding event in London next week which explores Czapski’s work and if you can get along to it, do – more details here! The Benjamin/Baudelaire combo is a no-brainer of course; and I borrowed the Adorno from the library and was intrigued, so was happy to get my own, Reasonably Priced, copy. 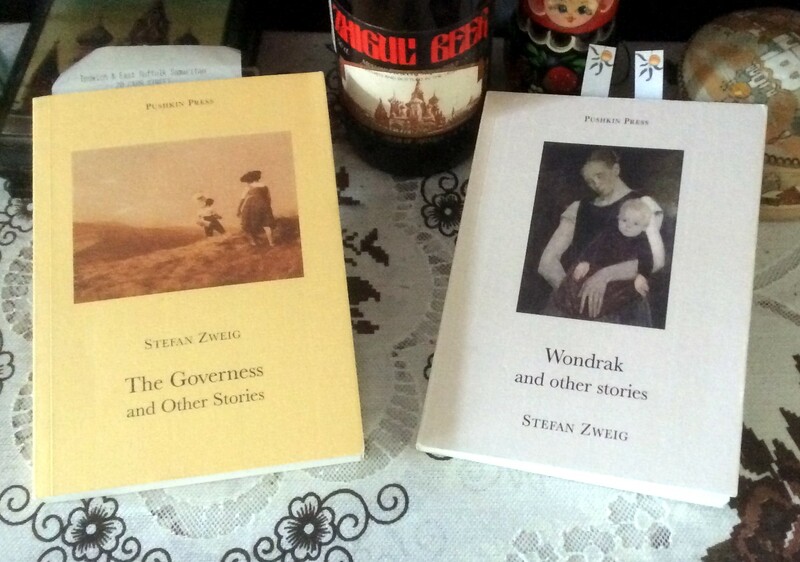 A couple of books about Dostoevsky; Rousseau on walking; Proust short works; and a novel of the French Revolution. What’s not to love?? I’m always happy to support indie publishers, and Salt are one of the best so I decided to splash out on another of their poetry titles. Why this one? No idea – I liked the sound of it and I liked the cover! I’ll report back on the contents…. Notting Hill Editions, who produce the loveliest essay collections and intriguing titles, sent me a volume I’d somehow missed of Virginia Woolf’s “Essays on the Self”; I can’t wait. “Mentored by a Madman” is a new title which draws on the influence of William S. Burroughs. I read *a lot* by the latter back in the day, so I’m very interested to see what this one is about. And the three titles by or about Jozef Czapski are from NYRB; another author new to me but one whose work sounds absolutely fascinating. Thank you, lovely publishers. I sometimes ask myself how it is I’ve managed to get through all these years of reading without picking up a book by a particular author, and Guy de Maupassant is a case in point. For as long as I’ve been reading books in translation I’ve been aware of his name, as well as his novel “Bel-Ami”, but the only things I can be sure I’ve read are a few short stories by him in anthologies. So when a review copy of this rather lovely novel from NYRB popped through the door I was quite pleased to have the opportunity to read something more substantial by him. Maupassant had a short and somewhat colourful life, dying in 1893 of syphilis at the age of only 42, but he left a substantial legacy of work, particularly in the short story form. His novels are apparently less well-read but on the basis of this one, that’s a shame. The focal character of the book is Olivier Bertin; a famous artist who made his name when young, he’s basically become a society painter and at many points in the book we see him struggling to find a suitable subject for his work. Now well passed his first flush of youth (he’s constantly referred to as old, though is probably what we would now think of as middle-aged), Bertin has a long-term lover in the form of Anne, Countess de Guilleroy. The two have had their relationship for some time, and although Anne has a husband and daughter, she and Bertin are almost like an old married couple, albeit one needing to be kept under wraps! “Like Death” is a beautifully written and reflective book, full of passion and melodrama, but with more depth than might be thought at first. French society life is seen for what it is, with marriages made for convenience and conventions observed; and Annette herself is content to make a suitable match with a man who will share her love of horses and riding, no doubt with the option of taking a lover herself at a later date should she feel the need. Bertin himself is perhaps something of a misfit; not quite of the same class as people like the Countess, his celebrity has allowed him access to that strata of society although he has maintained a certain air of being an outsider. In several places during the story, he displays sadness at remaining a bachelor and having no family life, wishing instead he had a cosy domestic setting with Anne. Perhaps that’s a reflection on the ageing process, as the bachelor life is all well and good while you’re young, but there comes a point where it’s no longer fun. And Maupassant’s writing is really excellent; one piece that specifically stood out for me was the part when a character, having lost their mother, reflected on the massive loss in their life of the person who knew them best, had memories they would never get back and was always there for them in their life. It’s a powerful piece of writing and resonated strongly, as I was reading it on Mother’s Day. Oh, had they foreseen, had they proved the distracted love of an aged man for a young girl, how would they have expressed the frightful and secret striving of a being who can no longer inspire love, the torments of fruitless desire, and, worse than a vulture’s beak, the face of a little blonde tearing an old heart to pieces! However, the situation is not as simple as just the infatuation of an old man with a young girl. Bertin is infatuated with his past and his early love of Anne, the girl’s mother. Initially, his obsession rekindles his love for Anne until eventually the daughter takes the place in his heart of the mother. At times, Maupassant stresses the confusion between the two women who are so alike, and it seems from Bertin’s point of view that they almost merge into one. It is only when fate intervenes and dictates that Annette must wear mourning that the resemblance becomes startling – for it was in mourning clothes that Bertin first saw Anne and painted his great portrait of her. It is here that he reaches the point of no return in his obsession with Anne. He also receives a number of blows towards the end of the book; as well as his doomed love, his work is mocked by the younger generation and his yearning for a lost youth takes on even more pathos. But it’s not only Bertin has to deal with the effects of ageing, as Anne is devastated to realise that her looks, upon which she places so much store, are fading, a process exacerbated by grief. Despite all her artifice, she cannot compete with the youth and freshness of her own daughter, and added to the pain she feels about this is the realisation that her lover finds her own child more attractive than herself. In a short but intriguing foreword, translator Richard Howard ponders comparisons of Maupassant’s and Proust’s work, contrasting the similarities in their ways of dealing with the process of memory. Certainly, that seems to have been an important factor in both authors’ work (at least, in what I’ve read so far) and it’s fascinating to speculate as to how much of an influence, if at all, Maupassant was on the later writer. Ironically, it’s a cruel trick of memory that brings about the crisis in “LD” and perhaps we are more under the spell of our pasts than we would care to admit. So my first proper reading of Maupassant was a memorable and absorbing one, capturing the emotional life of society Parisians, but also delving deeper into the effects of memory on the human psyche. An excellent novel and hopefully not the last time I’ll spend time in the company of this author. 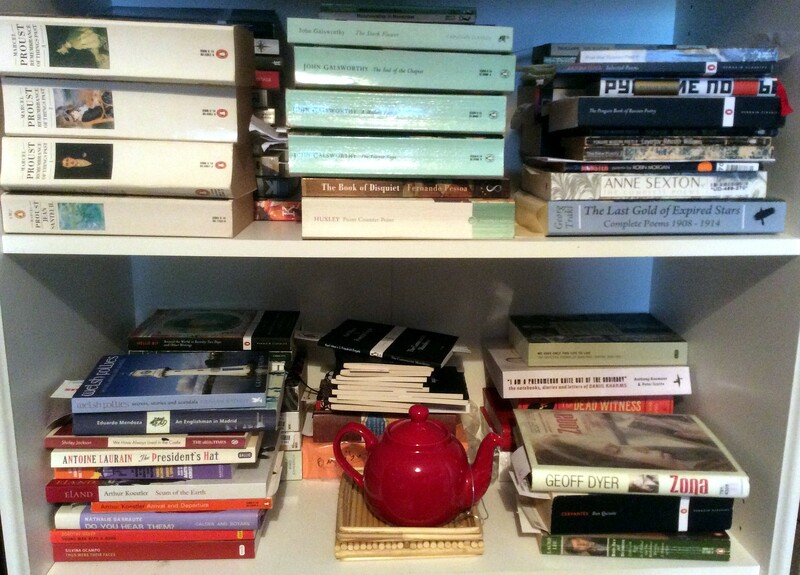 At the moment, there are a number of books of varying sizes jostling for my attention. I’ve just read quite a lot of smaller volumes (getting very behind with reviewing in the process); and with a slight hint of a chill in the air, I’m feeling rather like getting lost in a big book. Proust has been knocking about for a while – I finished the first volume of “Remembrance” but I’ve yet to embark on the second. Also I need to catch up with my Slightly Foxed and Manchester Modernist mags. 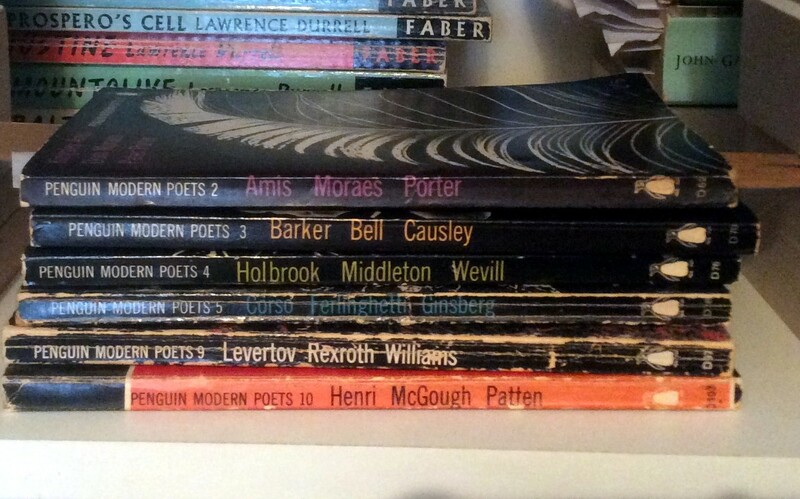 Then there are the skinny poetry books – volume 1 of the Penguin Modern Poets is finished! Though the review will no doubt take a while to get to as I’m a bit behind with these… Volume 2 is proving excellent so far and I’m finding myself unexpectedly positive about Kingsley Amis’s verse. 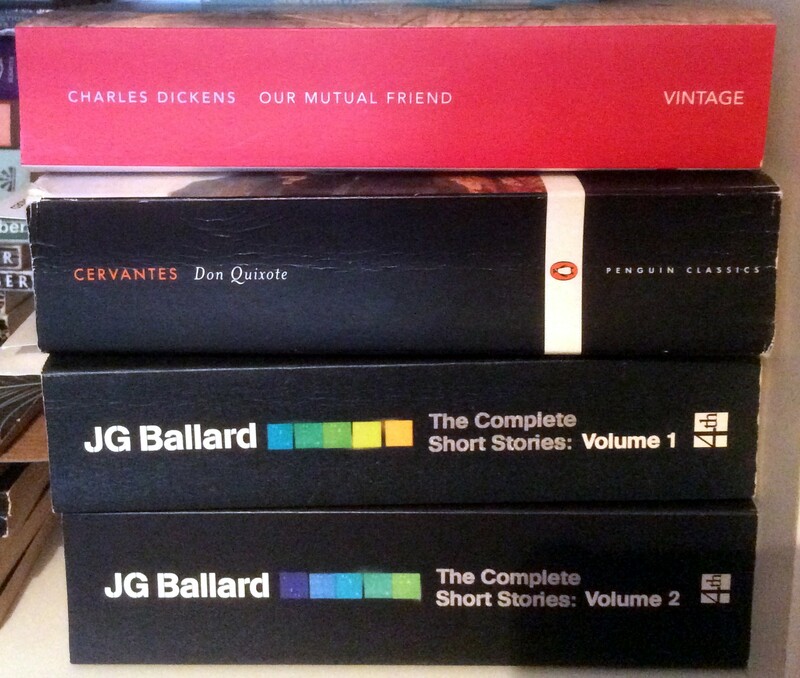 Whether I’ll manage to read all or some of these simultaneously remains to be seen – watch this space! Actually, calling it a TBR is a bit of a misnomer – I have no *physical* TBR in that all of my books are muddled together, read or unread. This is not always helpful when trying to decide what to read, or indeed find a specific book… A case in point being “Point Counter Point” by Aldous Huxley which I knew I had and couldn’t find till yesterday when I realised I had moved my Japanese books to the front of a double stacked shelf and some unread books (including the Huxley) to the back of the same shelf, out of sight…. Note the Galsworthys and the Prousts displayed prominently! Next to the Galsworthys on the top right hand side is a little pile of poetry books. I need to read more poetry but I’m failing, basically. I’m considering setting myself another little challenge with verse (will I never learn?) If I go ahead, an explanatory post will follow…. Meanwhile, I shall try to decide which one of these books I’ll read next! However, I’m not going to beat myself up about this *too* much; because for a start the Jennifer Dawson is an upgrade of a Virago I already have. Mind is a bit more battered, so this one will be a shinier replacement. 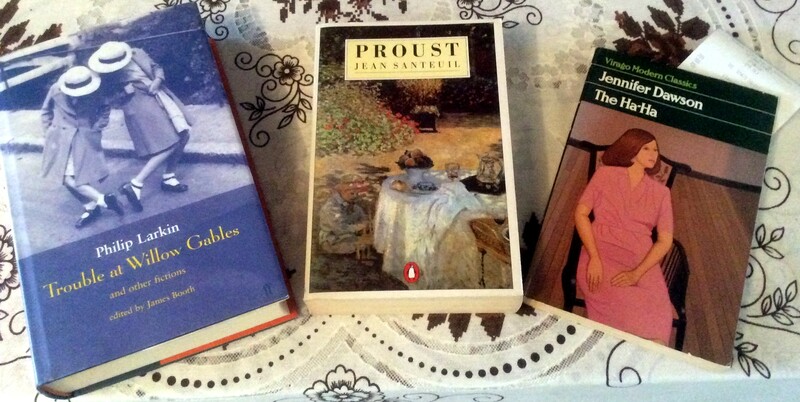 The Proust matches my set of “Remembrance….” very nicely and the Philip Larkin is essential as I think I own everything else of his that’s been published. Having said that, I’m not 100% sure I *want* to read the Larkin, as I’ve heard scurrilous things about it – we shall see…. 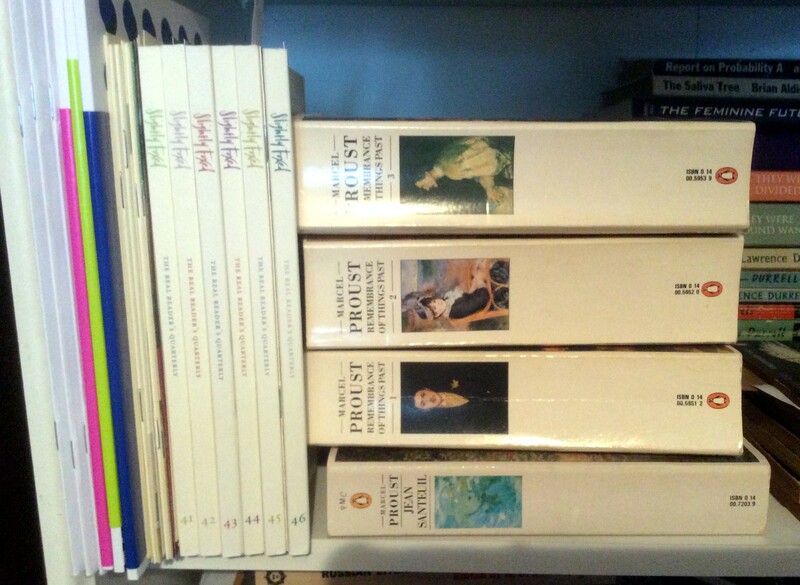 As Melusine pointed out in my comments yesterday, today is the birthday of Marcel Proust – a great writer, as I’m finding out, as well as a time-absorbing one!